Path of Exile: The Fall of Oriath is Grinding Gear's largest launch of new content since the original game debuted in October 2013. The game features six brand new acts - doubling the size of current game. The Fall of Oriath also introduces a new Pantheon character-customisation system that lets players wield the power of the gods themselves. Act 5: The Fall of Oriath: Return to Oriath. Home to the oppressive templar theorcracy. Explore frozen mountaintops, pristine temples and anarchic city streets. Leave a trail of furious destruction as you seek vengeance for your exile. A Single Playthrough, A Complete Story: The previous difficulty level system has been removed to make room for another five brand new acts, bringing to the total to ten. In these five acts, you will weave through both new and familiar locations and witness the drastic results of your past actions. Claim the Power of the Gods: Path of Exile's new pantheon system provides you with potent powers taken from the gods themselves. But beware, the gods won't go down without a fight. New Ways to Play: With dozens of new items, new skills, new locations, new boss fights and more, Path of Exile: The Fall of Oriath will keep even the most die-hard fans busy for many months to come. Path of Exile is an online Action RPG set in the dark fantasy world of Wraeclast. It is designed around a strong online item economy, deep character customization and unlimited replayability. Path of Exile is completely free and does not sell items or consumables that provide competitive advantage over other players. Path of Exile was originally released in October 2013 to critical acclaim including winning GameSpot's PC Game of the Year award. 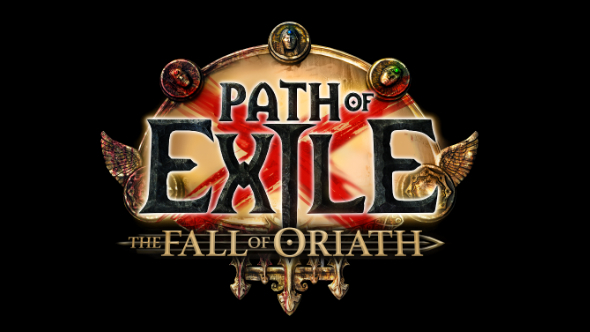 Since its launch, Path of Exile has received extensive updates (including five large expansions) and has grown its worldwide community to over 16 million players. Localized versions are available in Simplified and Traditional Chinese, Russian, Thai and Brazilian Portuguese. Later in 2017, Path of Exile will launch in China in conjunction with Tencent.